Savage Fitness, the Chippewa Valley’s premier boxing nightclub, is about to get a hell of a lot more savage with a new grand opening later this month in Altoona. The fitness center, which has been operating out of a space at Banbury Place since December, offers boxing, fitness, and sky yoga classes. Owner Hector Pucheta says the new space (2228 N. Hillcrest Parkway) will be much bigger and will allow the center to offer much more to its members. The inspiration for the move came from Savage Fitness members themselves. “We’ve been getting a lot of great results but we have hunger for so much more,” Pucheta said. At the new two-level facility, Savage fitness will be able to offer many more classes, a full boxing ring, and a protein shake stand. Savage Fitness has made its name by offering unconventional but fun fitness and boxing classes. 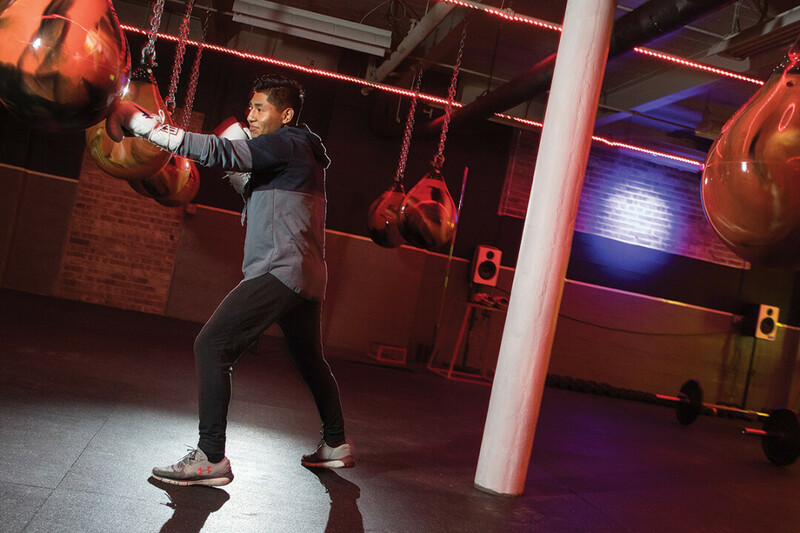 One of Savage’s most popular classes, showtime 30/30, is a blend of nightclub-style fitness and boxing. The fast-paced, dynamic training class has crazy lights and lively music to mimic the experience of a nightclub. “I really believe music has so much power,” Pucheta said. “Everyone loves the night club. The hour goes by so fast.” Savage Fitness’s grand reopening will be July 28 from 1-6pm at the new location. They will offer a variety of free classes all day, and raffle off free memberships, gloves, and other prizes. Locavore Mobile kitchen will also be there, offering healthy and delicious food. Check their Facebook page, Savage Fitness & Boxing, to stay updated.